In August of 2010 I started what I call my “Weight Loss Journey”. I was completely ready to go full force into it and was excited. I started out slow, adding walks to my exercise and changing up all my eating habits. As months went on I added more activity and cut down on my food intake, but never really understood the complete process of what I was doing to my body. I never really set any goals and was a little lost on where this process was going to take me. At the end of October 2010 I met Justin, after getting enough courage to take one of his classes (I always got nervous trying something new). He was so charismatic, passionate about fitness and eating right and all around life that it opened my eyes to a whole new world. In January I started training with Justin, and began to realize that I absolutely loved the challenge of lifting weights. Before this I was only doing cardio and classes. I met with Justin for many months every time he motivated me in some way. Reading his newsletter and seeing all his goals made me start setting my own goals. Just seeing someone that is in such great physical shape push themselves to do new things or even have their own struggles makes me push myself even harder and yet is comforting at the same time. 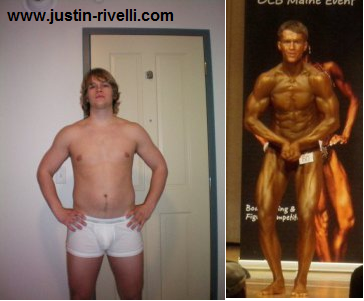 When Justin started getting ready for his body building competition, was when it really clicked to me that no matter your size or physicality in order to achieve your goal it will take sacrifice and some serious dedication. When I started this process my activity was very limited and I was always nervous to try something new, but now I am running 3 miles, biking and lifting weights. I have lost over 80lbs and have achieved many of the goals I have set. I will be running a 5K in July and have now set an ultimate goal for myself. I couldn’t be any happier. It hasn’t been easy but having Justin reassuring me and supporting me has only helped me push through tough times. I’ve seen Justin work with other clients in the fitness center and you can see the excitement and joy that he exudes with every one of them. Not only has Justin been a great trainer, nutrition coach and educator, he has become a friend to me and I wouldn’t know how much I could achieve without his support. Went from the freshman 40 to a shredded competitor! I started training with weights back in high school to help improve my strength as a hockey player. I was hooked once i noticed the scale starting to rise and my shirt sleeves beginning to fill. Once i entered college, the thought of competing in a bodybuilding show began to creep into my thoughts. With little knowledge of nutrition, my “freshman 15” quickly became my “freshman 40” by the time i finished my sophomore year. That is when i learned my good friend Justin Rivelli was transferring to my school and would be living with me and my roommates! i was ecstatic because i knew Justin took his weight training and exercise seriously, and that i would have the chance to learn a thing or two. Little did i know just how knowledgeable Justin really was. I finally bit the bullet and decided it was time for me to compete in my first bodybuilding contest. I weighed in at an extremely heavy 208 pounds on that day, and figured it would only take about 15 pounds for me to get into competition shape. I was WAY off. That is when i realized i needed some help. It was a no-brainer, I immediately contacted Justin. 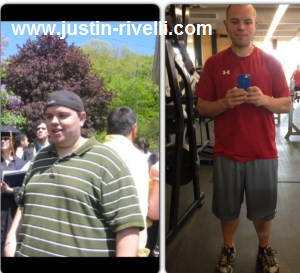 Justin spent a lot of one-on-one time with me in-and-out of the gym and completely changed my diet and exercise routines. He was honest with me and told me the kinds of things i needed to hear, not the type of advice that lacked results. The results were staggering. 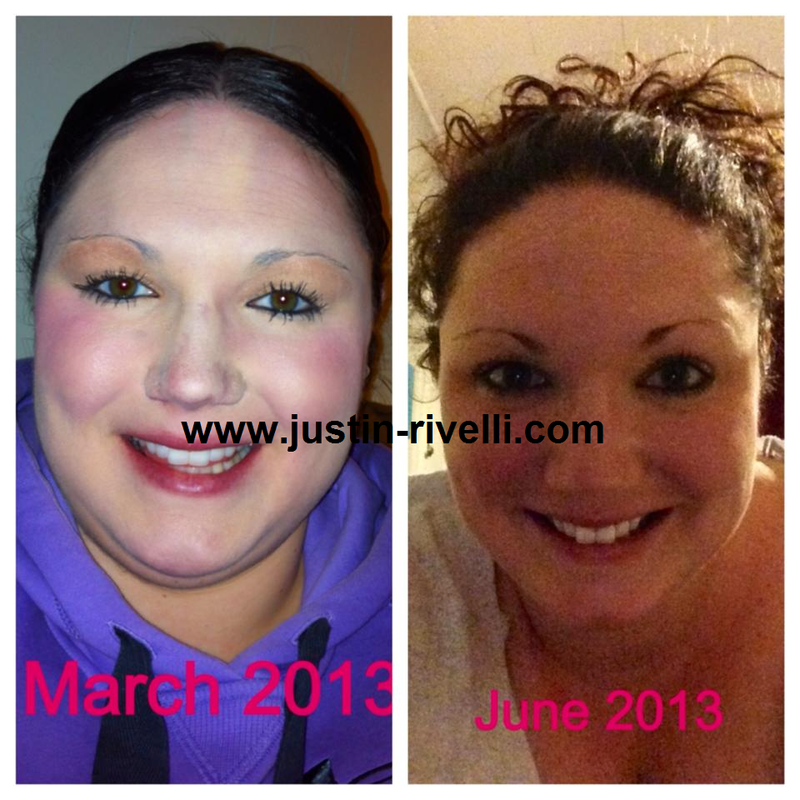 Not only was i losing the weight while shedding the fat, i was gaining strength! 3-weeks out from the competition and i was setting personal bests with some of my lifts! 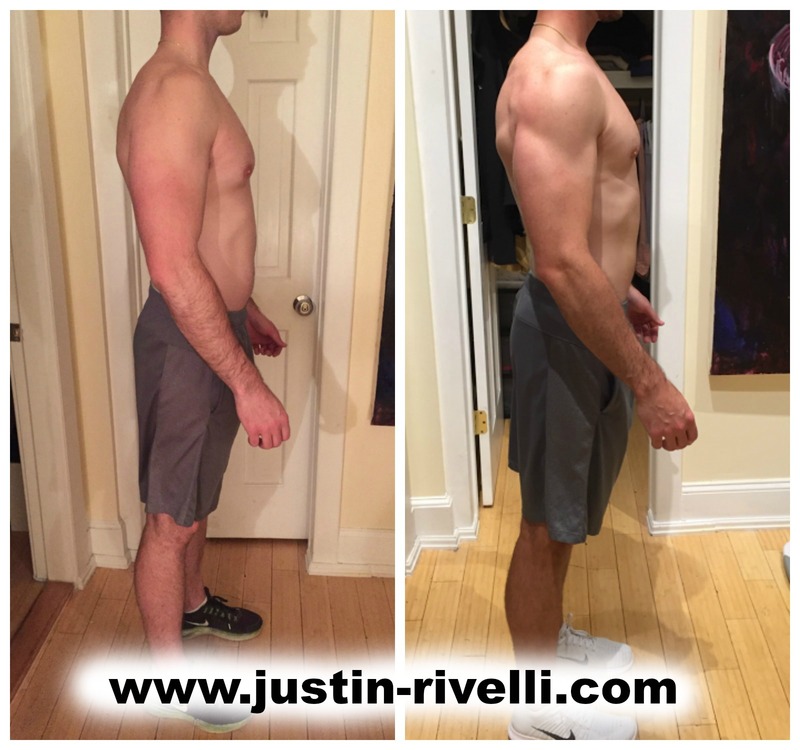 Justin’s knowledge of training and nutrition and his ability to understand how my body would react to changes in my diet and exercise routines was outstanding. He is a very busy person, working two jobs and finishing his degree, yet he never let that get between me and my success. Whenever I had a question or was losing motivation, Justin was a quick text or phone call away. I started my journey at 208 pounds with a very high body-fat percentage, and ended it weighing in at 160 pounds and under 5% BF the week of the show! The before and after pictures are astounding! I have never felt more energized, mobile, flexible, or as strong as I do today.I am in the off-season now and plan to compete again in October 2012. 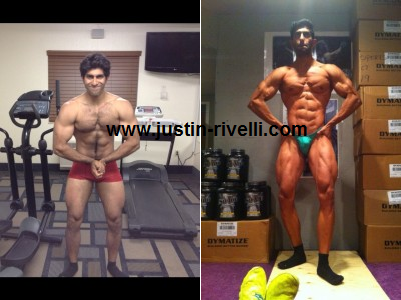 I will continue to train with Justin and use his nutritional advice to help me pack on as much lean mass as possible. We still meet once a week to be sure I am continuously improving my physique and to make any adjustments if need be. Be sure to check back for more photo updates as our next contest approaches. Expect to see incredible improvements in my physique! P.S. 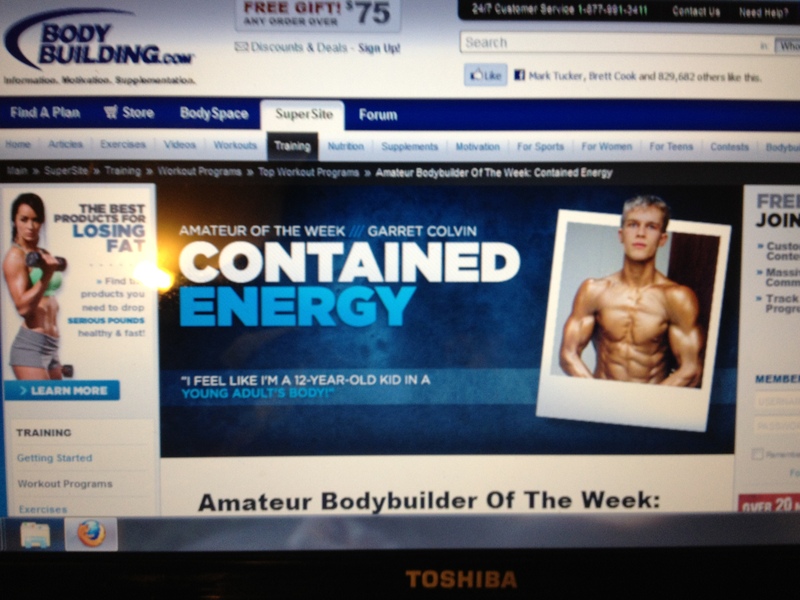 He won amateur bodybuilder of the week on bodybuilding.com as well. Robin Snoey dropped 27 pounds, placed 3rd in her first bikini competition of over 50 wonderful competitors, and gained rapid strength, all while losing fat and rehabbing her left ACL! My name is Robin Snoey. I have been a competitive athlete for about 8 years prior to working with Justin. I was a tri-sport athlete in high school as a member on the varsity field hockey, swimming and rowing teams. After high school, I went on to join Division 1AA collegiate athletics with the Northeastern University Huskies Rowing team, as well as the UMass Amherst Minutewomen Rowing team where I graduated in 2010. In 2009 I tore my left ACL during training, which temporarily put a halt to my off-season preparations with the rowing team. My recovery did not go as well as planned, despite working one on one with the athletic training staff every day for months, my body had a hard time accepting the graft. I needed to have a second surgery by Thanksgiving in 2009. After 2 years post-op, my knee had still bothered me and it was frustrating during training. Sometimes I “favored” the surgical leg during lower body days due to the discomfort, especially on exercises that isolates the quadriceps and glutes. It is discouraging to feel your body perform differently than it used to and not being nearly as strong as it was. However, as a participant in programs of such high levels, I have been fortunate enough to work with top athletic trainers, physical therapists, coaches, and athletic training staff to optimize athletic performance and growth. After college, I still kept active but I was losing motivation in the gym. I am naturally a competitive individual and needed that extra something to keep me focused, since for years I have been accustomed to a set training program. I had been searching around for things to keep me motivated and I finally decided to give a natural bodybuilding show a try in the bikini division. 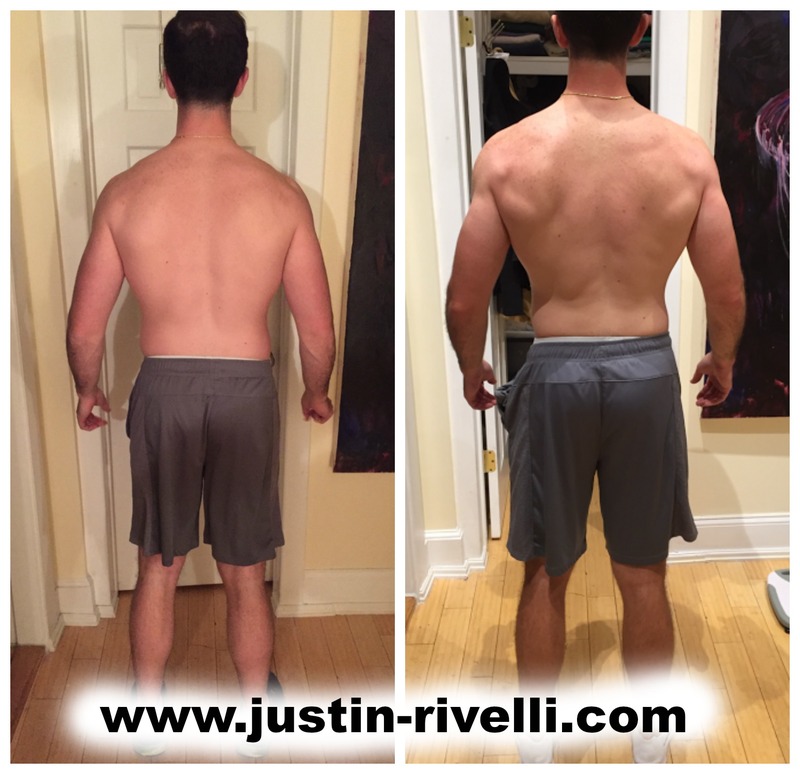 After a lot of research about proper nutrition, training and supplementation required to compete, I stumbled across Justin’s website and decided to contact him for a consultation. I wanted to find the right coach to help me through my first show. Immediately upon meeting Justin and having our first discussion about training and nutrition, I knew he was the exact right person to coach me for contest prep. I was blown away and extremely impressed by his knowledge as well his enthusiasm to get me started on my way to transforming my body. I knew I had a lot of work to do to be stage ready, and that Justin was going to provide me the tools to get there safely. And so my transformation began in February, where I weighed 157lbs (I am 5’8) with a decent amount of a muscle base to start. I needed a coach who would use their knowledge in training, nutrition and supplementation to create a plan that will work together to mold and transform my body to show off the hard earned muscle, as well as improve on some areas to create muscle symmetry throughout my physique. We created some goals together and I had trust that Justin would get me to where I wanted to be, as long as I kept putting in the work and sticking to his plan. Justin promised that the results will be well worth it and that a slow fat loss is sometimes crucial to help keep the weight off long-term and keep the physique looking toned. The following day I met with Justin for an assessment, as well as a training demo on how to lift weights with proper form for all the exercises that he had on his training schedule for me. I am so grateful for this first meeting, he figured out the imbalances in my physique and showed me pre-workout routines and more to get my body prepared for the workouts. He took me through the exercises that were on my plan and made sure that I knew what my body was supposed to be feeling like at each different motion to ensure that I optimize my training results and engage the all the correct muscle groups. Immediately I felt a difference in my mobility and was able to feel more comfortable using the correct form for lifting. I have always had discomfort in my knee, but as I was implementing Justin’s training program, I noticed two HUGE things… 1) I was lifting MUCH heavier than before my surgery (I was gaining strength at a rapid rate on a fat loss plan while I had plateaued in strength with my own training) AND 2) I felt ZERO discomforts in my knee! I was amazed! Especially after working closely for years with athletic trainers in college to ensure I was completing my exercises correctly, Justin gave me the confidence I needed to take it to the next level of fitness and helped me achieve the right mindset in order to succeed with the training programs. Justin’s expertise and knowledge is on par, if not better than the training guidance I have experienced in my past. His immaculate attention to detail mixed with his intelligence makes him a superior trainer by far! As the contest was quickly approaching, Justin checked in with me multiple times during the week and ALWAYS answered every question I had very thoroughly and honestly. That is what you need from a coach! And of course, with all the hard work that both Justin and I had put in, we reached our goal… I weighed 130lbs for the competition! I was ECSTATIC that everything fell into place and Justin was there to talk me through every step of the process and helped me understand exactly what he had me doing and why. 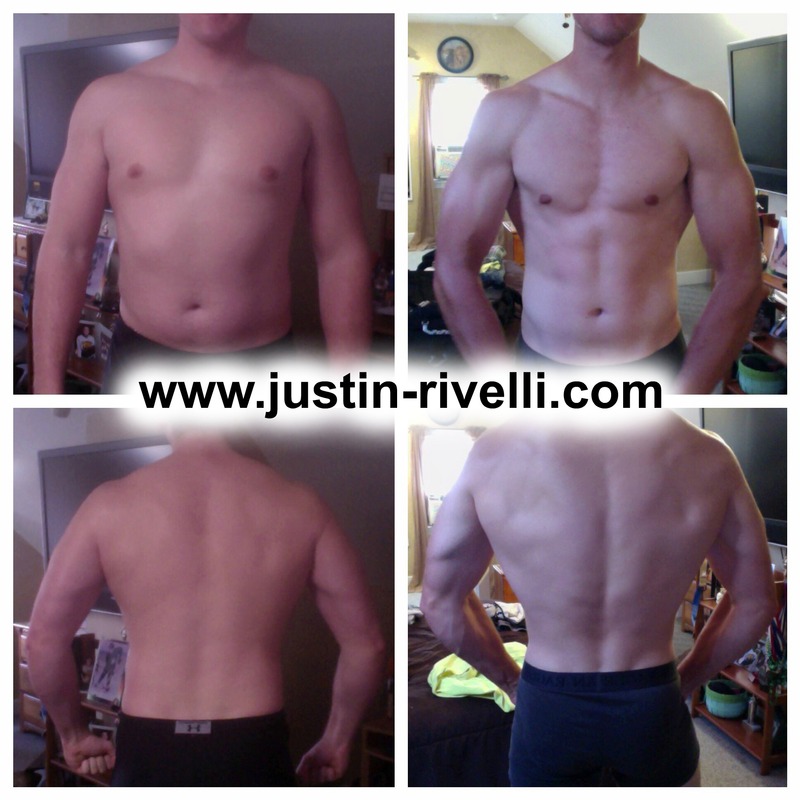 It made me feel very confident in the choice I initially made to train with Justin. With Justin’s superior knowledge and expertise, I placed 3rd and 5th respectively in my classes out of about 40-50 beautiful women in my first show! I could not have asked for a better experience. 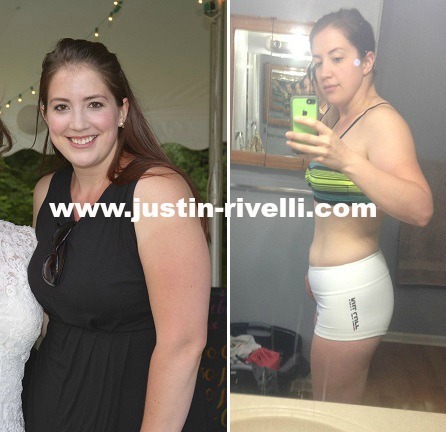 Justin has not only helped me transform my physique and loose almost 30lbs, but taught me how to make better choices with my nutrition that will optimize my efforts with my workouts. He also taught me how to “dig deep” and find that self-discipline to have the mindset of a competitor. Not only is your personal mindset crucial to achieving your fitness goals, but it translates to building a strong work ethic and character with everything that you do in life. I could not have asked for a better foundation for my first show than working with Justin. 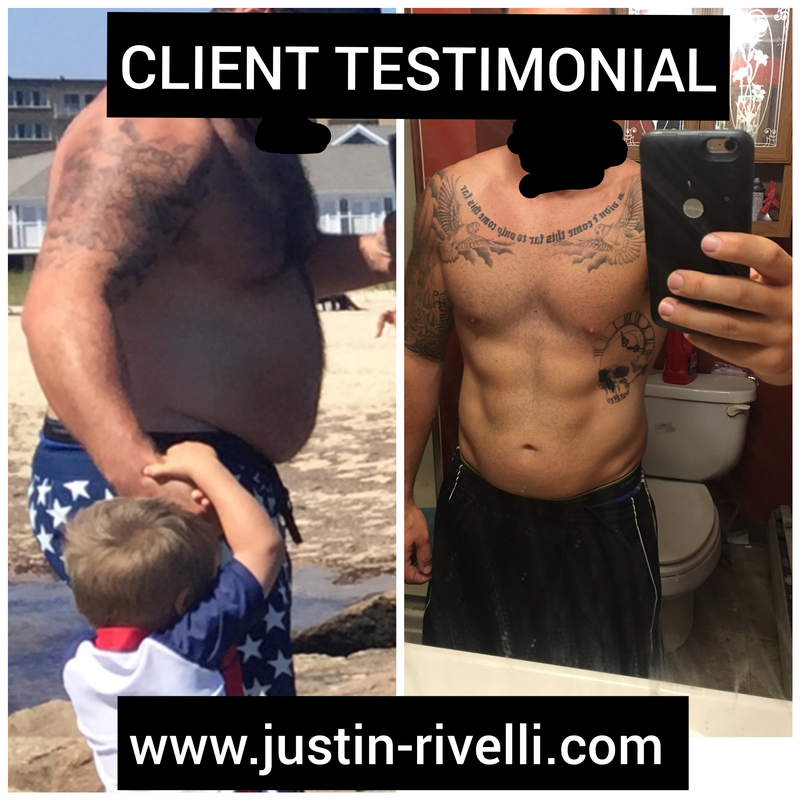 It is very seldom that I find someone so enthusiastic about seeing someone succeed, and for that I HIGHLY recommend Justin to help you reach any of your fitness goals. I promise you will never regret it and your body will thank you for working with him. Feels, looks, and performs better than she ever has. Learned a lot and is ready for more! I first met Justin in college in 2008. He was my boyfriend’s roommate and I also had a Food Science class with him. I remember even back then, Justin was extremely committed to eating healthy and working out, and was constantly researching nutrition and fitness information to advance his knowledge and expertise. I am not remotely surprised at how successful Justin is today. Four years later, I had graduated college and was extremely unhappy with my body. My weight-gain didn’t happen all at once; I knew I had put on a little bit of weight each year, with a total weight gain of 20lbs. While in high school, I could “eat whatever I wanted” sort to speak and maintained my weight by being very committed to (and enjoying) exercise, the same was not the case for me in college. For myself, and I’m sure with many others, several factors led to my gradual weight gain in college. The stress and workload of schoolwork made my workouts less consistent and also led to many stress-eating takeout food binges while cramming for exams. I was going out and drinking way more beer than I ever had before, and would nurse any hangovers with junk food the next day. Going out to dinner was always a social thing to do as well, especially when my boyfriend would visit. I was generally unhappy with my body all throughout college as the weight crept on. I also began to resent exercise because weight loss was such an uphill battle. I felt like I was completely beating up my body with grueling workouts and eating what I thought was a mostly healthy diet (aside from the weekend binges) and could not lose any weight. It seemed so unfair because I thought I was doing everything right but with no end gain. Meanwhile, I knew that Justin’s business was growing. I was inspired by all of his clients’ testimonials. When I came home for the summer, I got in touch with Justin because I knew it was time for me to make some changes and to finally consult an expert. When I began working with Justin, I at first only committed myself to a healthy eating plan, which Justin continued to remind me was not a “diet”. I knew I was really busy with work, and didn’t think I had the time or resources to get myself to the gym to workout with Justin at first. He assured me that this was fine and that I would lose weight by committing to the healthy eating plan alone and he was absolutely right. I lost four pounds in the first week, and 10 pounds in the first month without exercising at ALL and with some slipups along the way. For someone who had tried Weight Watchers and my own self-created “diets” with 0 success, this was huge. Nothing I had ever tried in the past had ever worked. The difference with Justin’s nutrition system is that you eat for your health and you have someone besides yourself to check in with and report to. Once my body began to detoxify itself of all of the processed garbage I had been eating (yes even those foods under the facade of “healthy”) and my body chemistry became much more balanced, eating a healthy and nutrient-dense diet became so easy. I am always eating frequently enough that I never feel hungry. I couldn’t believe how much better I felt, either. I had more energy, I was significantly less bloated and everything digestively just felt better. Two months later, following the nutrition plan and incorporating some light exercise like walking and yoga, I had lost 12lbs of fat. In my third month working with Justin, I am now training with him at the gym. I have lost five more pounds so my total weight loss in the three months working with Justin is 17lbs. It may not seem like a lot, but that is 17lbs of fat that is now gone and won’t come back after I “start eating solid foods again” or “go off my diet” because eating healthy isn’t quick fix–it’s a life change. Justin is extremely knowledgeable of weight training and conditioning exercises and is so patient when teaching them to you. I am always learning something new. I am blown away that you don’t have to completely beat the crap out of yourself to see and feel results. Even thought the workouts are challenging. I am excited to see even more changes in myself as I gain strength, endurance and flexibility. I work out with my friends which makes it fun, plus I have met new friends through the training program. I never thought I’d be deadlifting or working out at 6:30AM but I am! I always look forward to seeing Justin. Justin’s knowledge and expertise are completely mind-blowing, and he is so passionate about what he does. He is sensitive and extremely professional, so you don’t have to worry about being remotely embarrassed or self-conscious about your current state. He is my friend and and a guy, and I still wasn’t at all embarrassed to send him my weight check-ins or express my insecurities or even share photos with him because Justin has such a professional attitude and approach. I’m sharing these photos now because I don’t even care about my own ego and just want people to know that Justin is one of the ONLY experts in the area who knows what he’s talking about and has clients to prove it. You wouldn’t trust yourself alone to diagnose any illnesses you may have or even cut your own hair if you weren’t a licensed expert; so why would you try to create an effective meal plan and exercise routine when you’re not an expert in that field either? You don’t have to do everything alone, and investing in a nutritionist/trainer pays for itself because your health is so important. 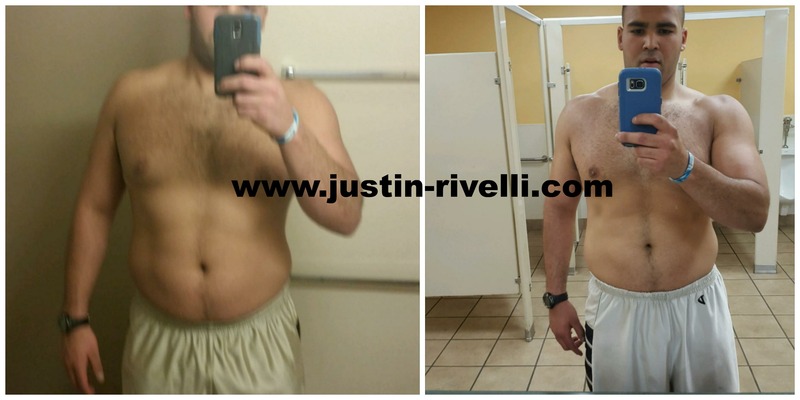 If you’re trying to lose weight or get in better shape or just feel better physically and mentally, let Justin help you get there and you cannot fail. Ish went from an amateur bodybuilder to a pro. He started around 230lbs and dropped to 184lbs to win his IFPA pro card. My name is Ishmael Lytle and I want to tell you guys about my quest for a pro card and how Justin Rivelli helped me along the way. I came to Justin for help on my diet. I could always lose the weight but I needed the professional help and knowledge that I lacked in abundance that Justin has. I told him I wanted to come in in the best shape of my life and he delivered. He put me on a diet that was not like any other. He broke down meals by the gram and gave me OPTIONS!! He would say here’s 5 ounces of chicken but if you don’t want chicken you can have this or that! This helped me push thru those days were I hated what I ate because I could switch it up. I wasn’t on a all protein and no carb diet, I had an abundance of tasty food and I loved it. I started this journey at 227 pounds and end up at around 184. If I had questions I would just ask him and if I needed a answer asap he gave me one asap. He made it a team effort unlike most nutritionist who want to do it their way or the highway. He gave me the tools and said here use them and I’m right here to watch you. He stepped in when needed and motivated me all the time. We gave our best effort and put out a finished product that was so pro quality and so pro ready. Justin is by far elite and I wouldn’t want anyone to over look my prep besides him. World class gentleman and a elite nutritionist, that’s Justin Rivelli that’s my coach. From the bottom of my heart thank you Justin and Team Lytle will be back to see you again. This isn’t a hobby its a lifestyle and Justin changes lives hands down. 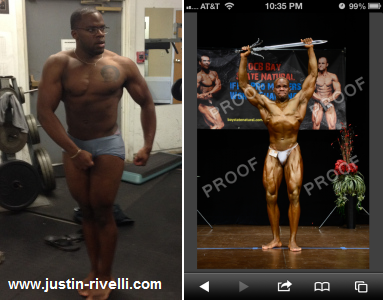 Jeff went from a bulky 194 pounds to a competition lean “stage ready” 162 pounds. Hit his goal body weight while increasing strength and speed tremendously! I’ve been weight training and jogging on and off with mixed results since 2000. In the beginning I made quick gains in size and strength due to my lack of experience and eating “Anything” in front of me. At one point I weighed 245 pounds and although I was strong, all that weight was slowing me down and I didn’t have the 6 pack I wanted. It wasn’t until my wife (Julie Lytle) decided to get serious about bettering herself that I was able to concentrate and do the same. With Julie’s new focus and determination I saw a fire in her that inspired me, and I took advantage of this… The portion control, balanced meals, new found love of the gym… But there were issues. Her input wasn’t producing the right output, and I had gone from 245 to 205 and in the process couldn’t hold onto my strength. Sure I could run faster, but I never wanted to be one of those guys who had stamina but no strength, or vice versa. I was getting frustrated… Enter Justin Rivelli. 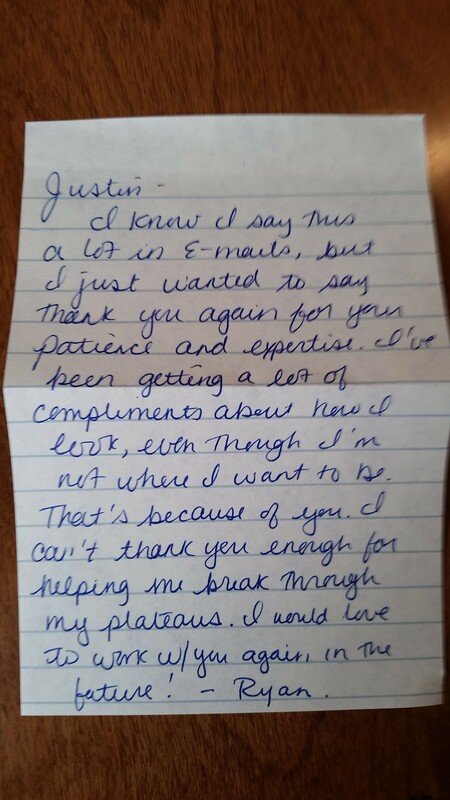 Through classes at the CRA Julie met Justin, and shortly after, became one of his clients. He taught her the importance of weight lifting combined with cardio, proper nutrition principles, vitamin intake, nutrition timing, ect.) and reinforced her mentally. With an introduction to Justin from Julie, I took a couple classes and learned some new techniques. I watched my wife lift weights in the gym, doing circuits and super sets. I never thought we’d be eating breakfast while talking about pressing iron. I was falling in love with her again. After watching what he did do for her, it raised the question, “What could he do for me?” After discussing my concerns with him, I also became a client. 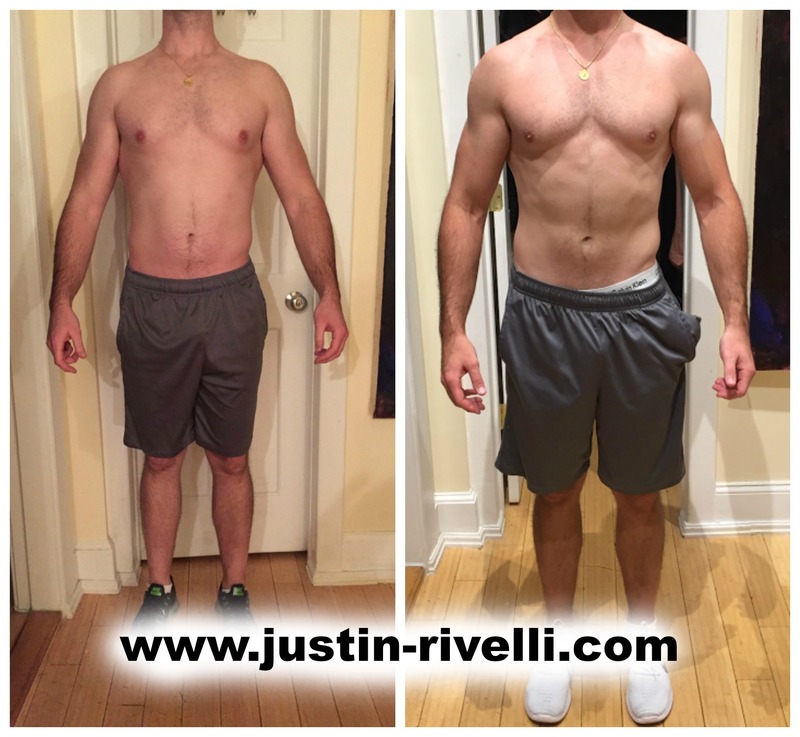 Justin produced a 6 week Power/Strength Protocol that was both intimidating and exciting. It contained rep ranges I never really focused on, varied speeds and exercises in very specific orders (one in support of the other). Sure I had my doubts. This was an entirely new way of training! But Justin reassured me, “If you want strength and explosiveness follow this routine.” So with my doubts in one hand and this routine in the other I did exactly as I was told. After 6 weeks of this Protocol my 1 Rep Max on all major lifts increased by 30-40 lbs! It was unbelievable! I hadn’t made gains like this since the beginning of my rollercoaster weight lifting journey. With Justin’s help I’ve managed to keep my weight between 205-210 while increasing my strength. He also left time in the routine for my jogging. I can run 3 miles in about 24 minutes with no ill-effect on my strength gains. Without Justin’s “Educated” guidance there’s no way I would’ve made those gains and developed the ownership of the weights that I now have. His dedication was something else that took me by surprise… I wasn’t even 2 full weeks into the routine when he had told me that he was working on a “Phase 2!” Phase 2?! Seriously?! I hadn’t even finished Phase 1! It’s that type of dedication that inspires clients to truly commit themselves to a program, and it’s that education that gives Justin the ability to write amazing routines that turn nonbelievers (like me) into believers. I’ve been working with Justin for about 3 and a half months and am currently about to finish “Phase 3.” My strength continues to increase and I feel faster then ever. I haven’t been this pleased with myself in awhile. 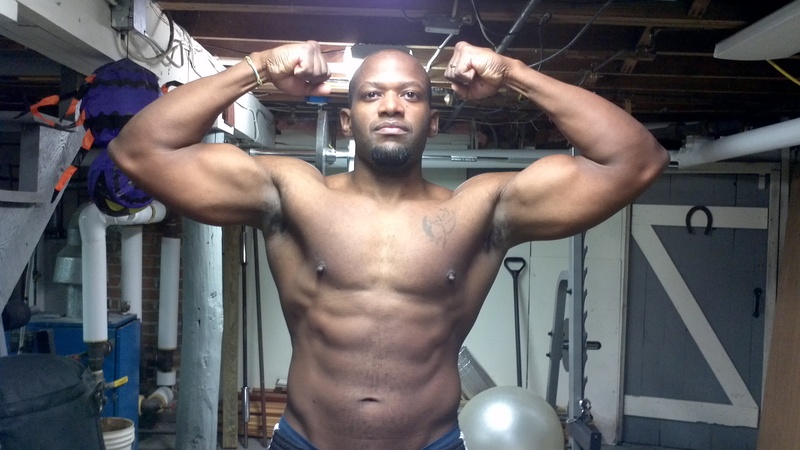 Pound for pound I’m much stronger then my 245lb former self and I owe that all to Justin. I don’t think anything needs to be said here. Chris Lepotakis changed his mind, body, and life tremendously. I would look out for his future business endeavors as well! Lost all the weight she had gained (and more) while bettering mobility, flexibility, posture and strength! Hi. My name is Lacie O’Keefe. I have been into fitness since I graduated high school in 2007, and no longer got exercise through sports. After high school I started going to the gym everyday to get my cardio in. At first, I had pretty good results, about 8 lbs in one year without changing my diet. 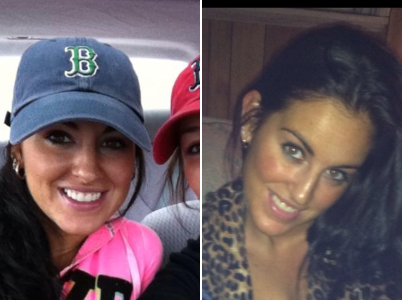 After a while I basically maintained until summer of 2011 came along. At this time I developed bad habits that I didn’t realize were that crucial to my body until it was too late. I was going out drinking 2-3 nights a week and having late night snacks afterwards and lounging around too much. I had been doing cardio twice a day, about 1 hr and 30 mins – 2 hours per day altogether. I didn’t feel like I was eating THAT unhealthy, but after working with Justin, I noticed just how pitiful my diet was! With all that cardio, and what I THOUGHT was a healthy diet, I had ended up gaining about 15-18 lbs in 5 months! Not only was I disgusted, but I was worried about what would happened if I had continued these unhealthy habits. I started talking to Justin about fitness and exercise and within 5 minutes of the conversation I was blown away with his knowledge and confidence. He promised me if I followed his instructions he WOULD get me where I want to be. Without much convincing, I decided to do a nutrition and exercise plan with Justin starting in mid September 2011. 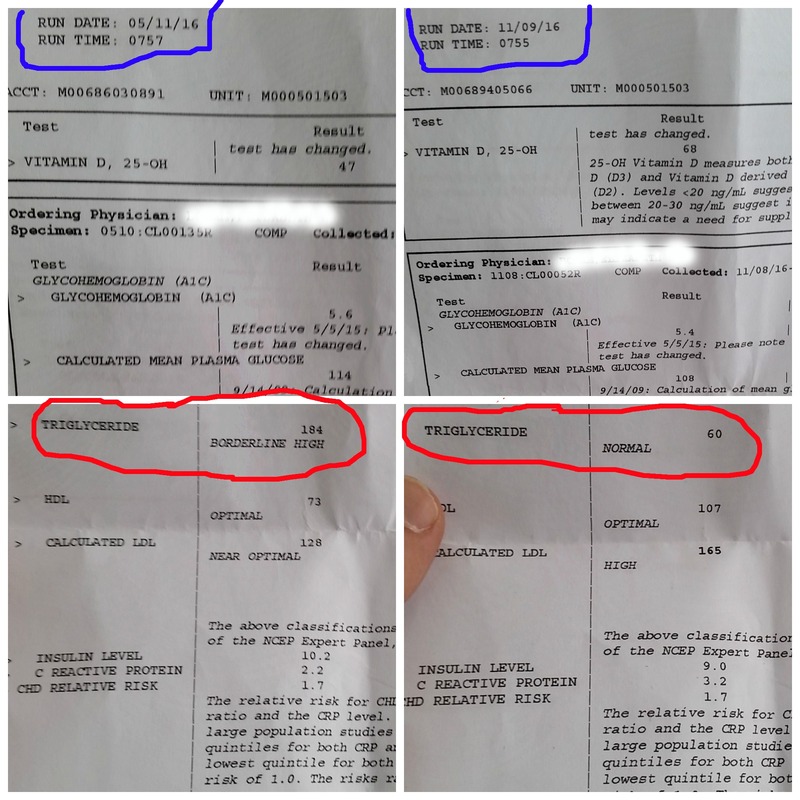 Justin was the FIRST PERSON who had ever given me what he had called a “screening and assessment”. He said without this he couldn’t program for me either training or nutritionally. I am very glad he did this as all of my “re tests” results were mind blowing to me. The fitness plan included heavier resistance training, which I was absolutely against in fear of “bulking up” but Justin reassured me that wouldn’t happen, and he also gave me his reasoning WHY it wouldn’t happen. It was easy to trust Justin because he had knowledge about everything I questioned. It was never a yes or no answer it was either yes, because.. or no, because. It was easy to believe him because everything he said made perfect sense. The first week I started his plan I dropped 4 lbs, and for the next two months I had dropped about a 1-2 lbs a week which was EXACTLY what Justin had predicted. I couldn’t believe how on target Justin was with what was going to happen with my body. I was doing 60 mins of cardio PER WEEK which was less than ONE day of cardio on MY own previous routine and I was actually losing weight on Justin’s plan. I wasn’t JUST interested in my weight loss though, I wanted to get FLEXIBLE and STRONG too. The first time I met with Justin for an exercise plan, I was struggling to squat the bar, which is about 35 lbs. He said that my strength will sky rocket soon, and of course he was right. At this point in time, I can squat more than my body weight, which is my proudest accomplishment! He assured me how important every aspect of his program was and I am glad listened. I can now also touch my toes, do a full deep squat, and feel like my posture and breathing are much better than before. Through out my fitness and exercise program I asked Justin questions ALL THE TIME, about EVERYTHING and he answered every single one of my questions thoroughly! 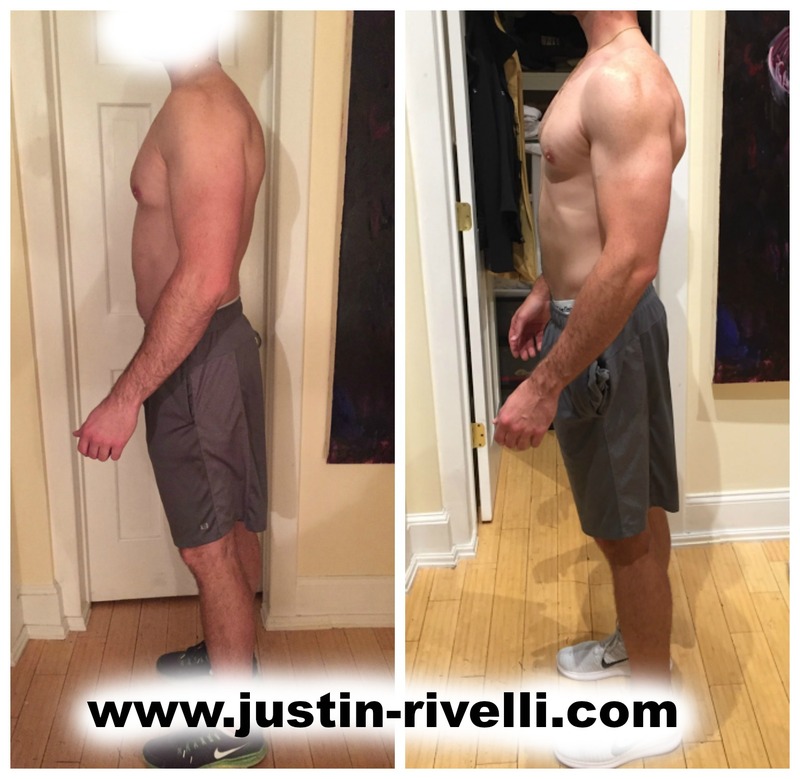 The best part of Justin’s fitness and nutrition plan ( beside the results) was that I wasn’t miserable and starving all the time. I was hardly ever hungry and it was SIMPLE to follow because Justin tells you hints, and tips on how to keep things in line.I am very impressed with the results, that I would have never been able to do without Justin. I ended up losing all the weight I had gained, plus much more in a matter of 3 months and my body is more lean, mobile, and stronger now than it ever has been. I would recommend Justin to EVERYONE who is interested in bettering themselves whether it be gaining strength, eating better, or making a healthy lifestyle change. I’m convinced he is by far the most intelligent trainer in this entire area and I am so glad I decided to participate in his nutrition and fitness plan! Here is the one and only Mauer Desai dropping 35 pounds before his first pro bodybuilding show! In six months one of my extremely consistent. over 55, female training and nutrition clients, improved her blood work dramatically. Her bone density has also improved since 3 years ago. Tim Badu dropped 20 pounds for his debut bodybuilding show. He placed 1st in the novice category, first in juniors, and second overall. Not bad for a first show! Amber didn’t drop any weight, but look at the difference in her physique over the past couple years. She went from no weight training in the before picture (left), to getting on a sound (yes heavy) resistance training program coupled with good nutrition in the after picture (right). 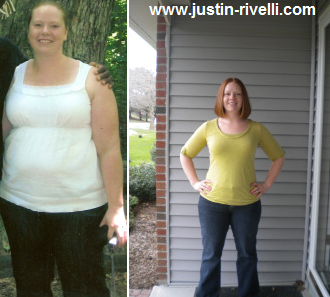 Megan dropped thirty pounds in three months! Here is Brandon’s progress from March 8th to May 1st, 2015. 251 lbs to 235 lbs! Allyson maintaining the results she received over a year ago. Before 198 lbs, after 174 lbs! Leah moved about six hours away to open up her own Hair Salon and Day Spa, but it was a pleasure working with her. Ryan has experienced some battles, but I’m glad to say he is currently focusing on increasing his performance now. 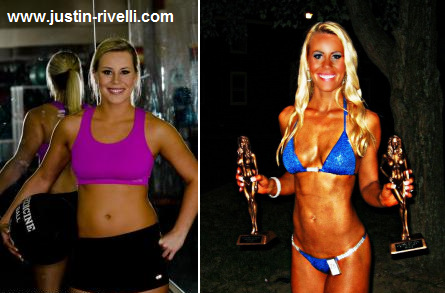 Elena before and after winning her WNBF bikini pro card. “Anyone can have fitness as a hobby, go online, and become an “expert”. With the fitness industry becoming bigger than ever, it seems there are new trainers and facilities popping up everywhere. They typically brag about themselves yet have no real clients, experience, or knowledge. They supply programs and information with no real purpose and just go through the motions. Some even just hop on the current training and diet fads, and their clients never see many results, especially long term. When I first met Justin over three years ago, I was instantly drawn to his excitement and passion for helping others, and the fact that he had made this his life. I could see the care and special attention he gave to every single person that came to him and how he learned as much about that person as he could by asking for their history, current lifestyle, ultimate goal, and all of the little details, that are important, that most “trainers” skip over. He adjusted to meet the needs of everyone individually and what was going to best suit them to reach their goals. When he’s not in person coaching his clients, he is glued to his laptop or phone, answering emails from current clients and adjusting programs to give them the best results they can possibly have. His limited “free” time is spent pouring through the latest research to truly understand the science behind everything. Justin is much more than a trainer. He is a person who has a true passion for what he does and I’m very honored to not only get coached by him, but to be able to be part of his journey. This particular individual has had trouble retaining muscle mass, while losing weight in the past. Therefore, this was a “slow process”. However, over the course of 10 weeks he experienced increased strength, reduced body fat, and created a more muscular looking body composition. From the before to the after picture, he lost an average of about a pound per week, bringing him to a total of 16 lbs lost in 14 weeks. Before pictures 190 lbs, after pictures 174 lbs. “Hey Justin – I wanted to send a big thank you for all of your help and support over the past 4 months. I have never had so many people comment on my muscularity as I have in the last three weeks. Between a few beach parties and going different places (even the golf course if you can believe it) the comments have been a huge motivator and also confirmation that all of the hard work is finally paying off. Right now I am weighing in around 174 with round the clock vascularity and a level of conditioning I had never before obtained. There is still room for improvement but now my focus is on slowly continuing to cut and maintaining this progress and then when comfortable working in some extra calories to add quality lean mass. Jordan has been training with me for the last three years. You can read more about her progress and view some of her training by clicking below. I had fun training Bri over the summer of 2016. 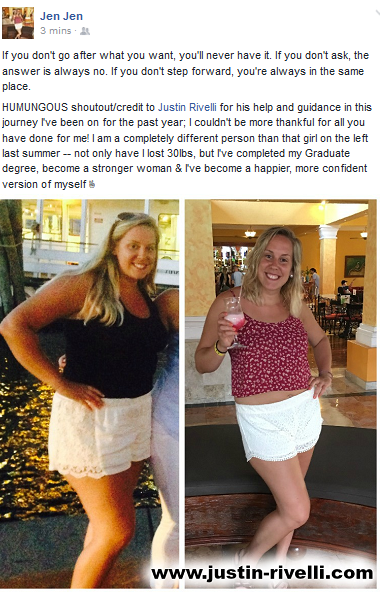 She lost 10 lbs and mentioned she is stronger than she ever thought possible. I don’t think much needs to be said here, but I will mention that I’m thankful to have had Jen as a client for this past year. Shane starting at 240 lbs, dropping to 190lbs, and currently increasing energy intake and training volume. 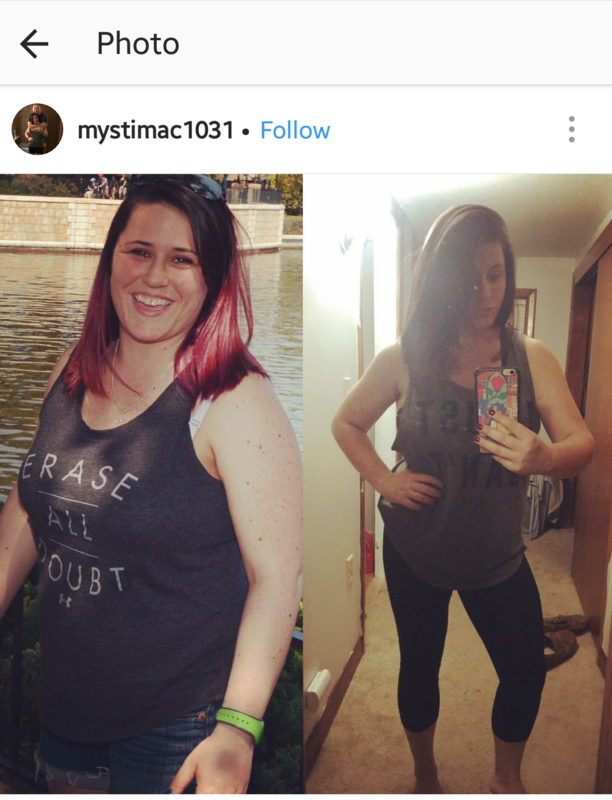 Mystique lost over 30 pounds and is keeping it off. She also crushed her 1st powerlifting competition, going 6 for 6 on her lifts, taking home first place in her division, and missing the state record bench press by five pounds. I didn’t start seeing @justinrivelli in 2016 to go into any sort of competition. The only competition I had was myself. After many injuries and just basically giving up on working out I ended up overweight, my blood pressure was far too high and simple tasks like walking up and downstairs was exhausting. My primary goal was to get healthy, period. It’s been a struggle lots of frustrating days in the gym where the weights I know I can lift just aren’t budging to the days I set a personal record 3 times in a row. This lifestyle is a process, a difficult one but worth it all the same. While my goals are starting to slightly shift the one thing that’ll remain the same is he’s got my back. Noelle (right) set state records in all three lifts at her first meet. Mystique (above) set a state record in the bench press and won best lifter overall. More info below. Not every meet goes this way, but I want to document what happened May 12th, 2018 in Brattleboro VT at the Can-Am #Powerlifting Championships. ———————————————- Mystique set a state record in the #benchpress and won best lifter. ———————————————- Noelle set state records in all three lifts she competed in. The #squat #bench and #deadlift. ———————————————- In the warm up room, Mystique looked extra springy, and the taper leading up to the meet seemed to work perfect. ———————————————- In the warm up room, Noelle was looking so #strong I upped opening #weights on the spot. ———————————————- During the first lift, Mystique blanked 7 seconds before stepping on the squatting #platform and had me refresh the commands for her as nerves set in. She still set a PR. ———————————————- During the squat, Noelle was ready, but the bar was set up uneven, and she had to take her time to stabilize it off the rack. With me yelling "take your time, you got time" at her, while she's waiting for the squat command. ———————————————- Mystique almost missed her second bench press due to a bar path issue, which tied the state record. 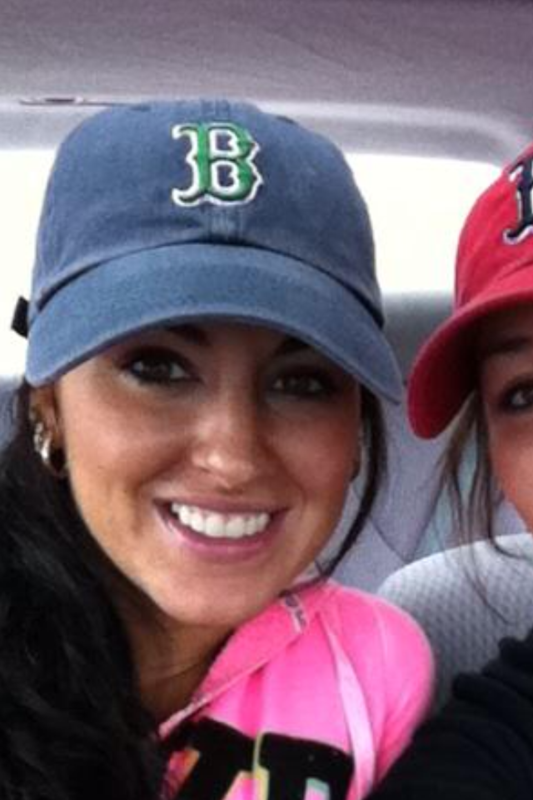 I made a #coaching decision to still up the weight 10lbs because I was confident she could fix it, which she did. Not an easy task. ———————————————- Noelle was so focused and composed for her first meet, it shocked me. 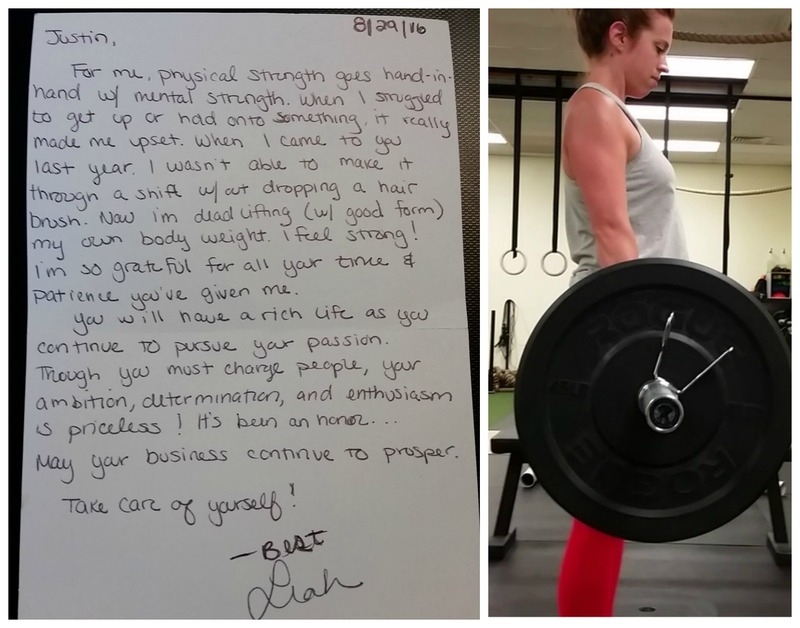 Only thing is, she almost broke my hand she slapped it so hard after nailing her 350lb deadlift. ———————————————- Note: The president of the APA mentioned to me multiple times as I was putting their numbers in, they have some of the best form he's ever seen. #noinjuries ———————————————- Besides the weeks, months, and years #training the public doesn't see, this is just a small piece of some of the behind the scenes things that happen. ———————————————- I've told them this multiple times, but incredible job once again. 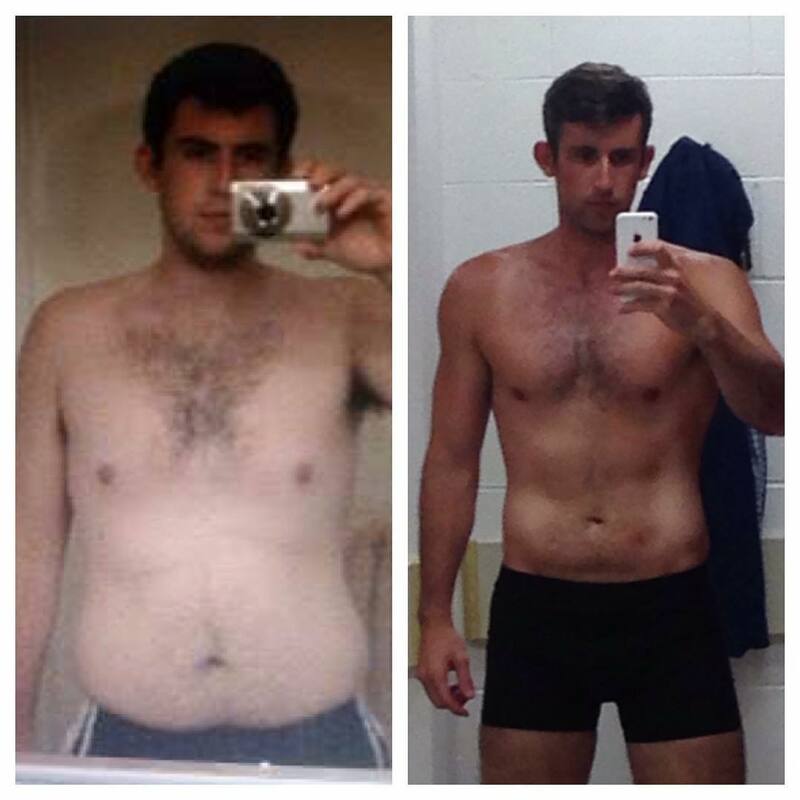 This particular client had many years of lifting under his belt before he started his cutting journey.